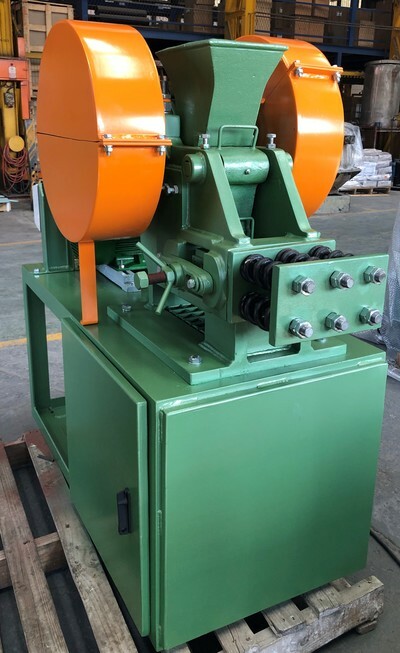 The "KEEGOR”® single toggle, roller bearing jaw crusher is of the overhead eccentric type. It is designed for finely crushing samples for assay and metallurgical laboratories. Available in two standard sizes: 5” x 3” (127mm x 76mm) and 8” x 5” (203mm x 127mm).